It's been a busy week, so far I've done five Vantage Point bird surveys, two extended Phase 1 habitat surveys, a bat survey, a hedgerow assessment and tomorrow I'm going checking on a goose mitigation scheme. 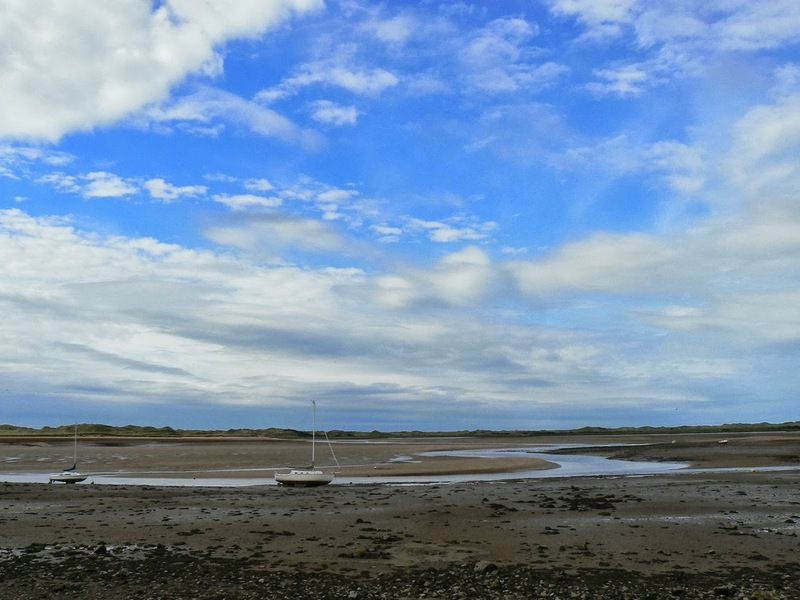 Today en-route to my latest mystery destination, I stopped off for lunch at Ravenglass in Cumbria. I sat on a bench on the promenade and ate my picnic, and did a bit of birding over the estuary. Suddenly I heard Greylags calling and on looking up noticed that there was a Snow goose with them. 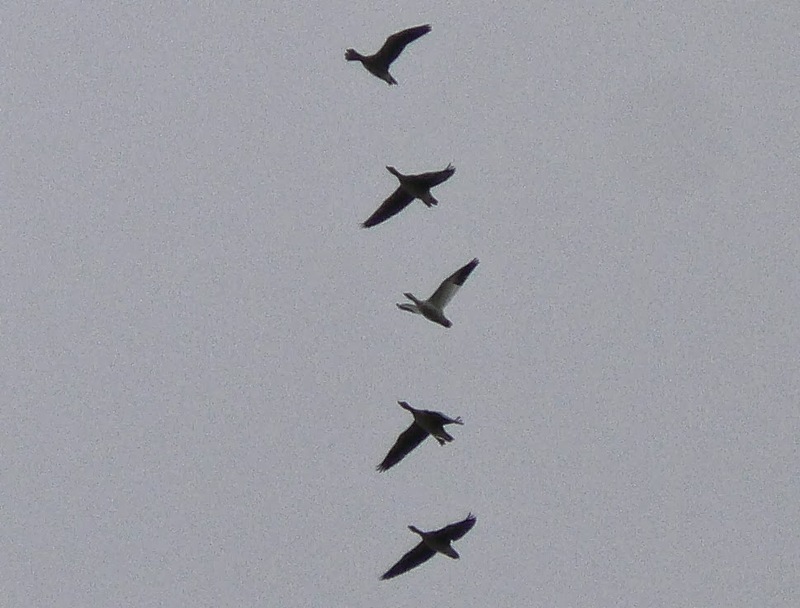 Hard to say if it's wild or not, but that's true of all Snow geese in the UK. It's at the right time of year and flying around with the right type of "carrier" flock. 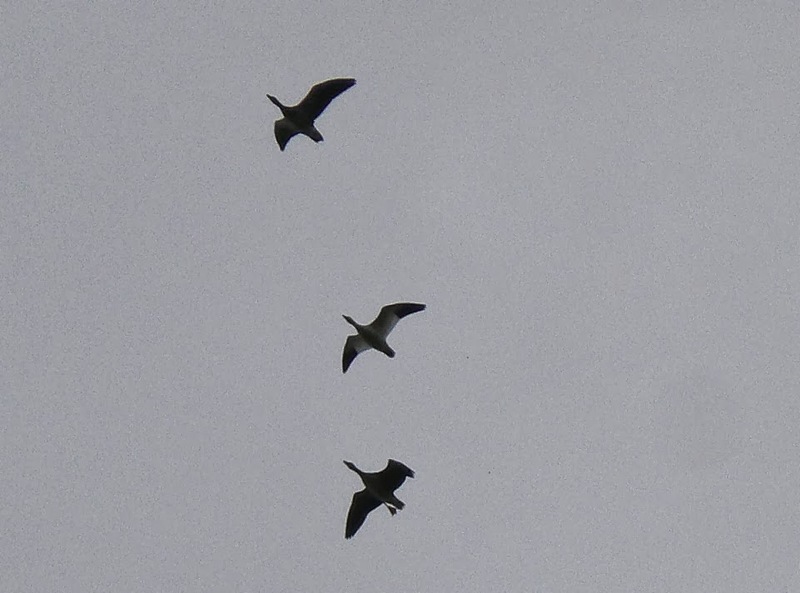 The Greylags could of course be feral, but in this area they could equally be from Iceland.